New Caledonia have named the squad which will travel to Papeete, Tahiti for two friendly matches next week, while the hosts are still working with the wider squad. New Caledonia’s side, led by coach Thierry Sardo, leave Noumea on Saturday for the matches on Tuesday 20 and Friday 23 March at Stade Pater. Since selecting his initial squad Sardo has been forced to make two changes with injured goalkeeper Rocky Nyikeine replaced by Raymond Saihuliwa and an unavailable Pierre Kauma making room for SC Ne Drehu’s Léon Wahnawe. Overall, Sardo hasn’t strayed too far from his usual suspects although there are five changes to the side which took on Estonia in November last year. Defenders Gaëtan Gope-Iwate (Wetr) and Jean-Brice Wadriako (Magenta) are joined by midfielders Jordy Gony (Hienghène), Cédric Décoiré (AS Mont-Dore) and Brice Dahité (Hienghène). With Gope-Iwate and Décoiré earning their first call-ups on the back of a successful season last year. Dropping out of contention are Fonzy Ranchain (Lössi) et Jordan Dinet (Hienghène), les milieux Didier Simane (Magenta), Pothin Poma (Hienghène), Yoann Idrele (Lössi) et Shene Wélépane (Magenta), ainsi que les attaquants Glen Wayaridri (AGJP). Sardo said his selection has been based on the long term objectives and vision for the national team, which means taking the opportunity to see as many players as possible in action. “In the players I’ve left out, there a several who I would have liked to have included, certainly,” he said. Sardo added that like the previous friendly, he isn’t bringing any France-based players back. “We’re only taking our local players, none from Metropole,” he said, adding that Team Wellington’s Roy Kayara will also be absent. With the resources he has at his disposal, Sardo said he’s already thinking about the formation and the best approach with the players he’s opted for. “4-2-3-1, 4-3-3, maybe even 4-4-2,” he said, adding that a three-man defence wasn’t on the cards, “too complicated in terms of the rigour”. 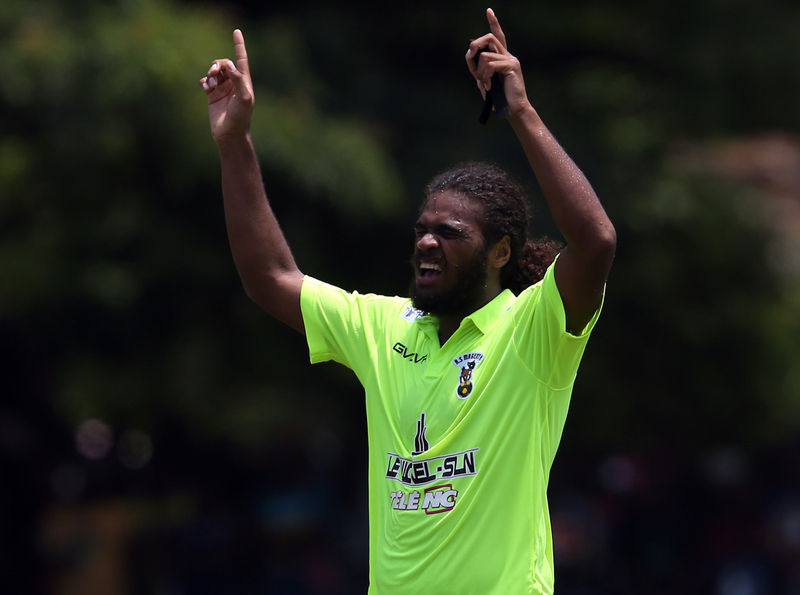 Meanwhile Tahiti have a new coach in place, and a wider squad which includes Marama Vahirua alongside of several names more familiar to the world of beach soccer. Tiki Toa captain Naea Bennett, also coach of Ligue 1 club Pirae, has taken over the national team and has been working with a squad of 27 players. Following the conclusion of the OFC Champions League Group Stage, Bennett began working with his chosen squad on 5 March as they prepare for the two matches against New Caledonia. “March 20 is coming around quickly,” Bennett said. “I’ve seen the players, they’ve been working with their clubs and we’re at the beginning of the third phase of the national championship so I think that, physically, the players are okay. “I’ve proposed that the week leading up to the game we train every day from Monday to Saturday. This double encounter with New Caledonia will be a chance to test all the players.